An Excursion to Bali’s Highlands | What an Amazing World! 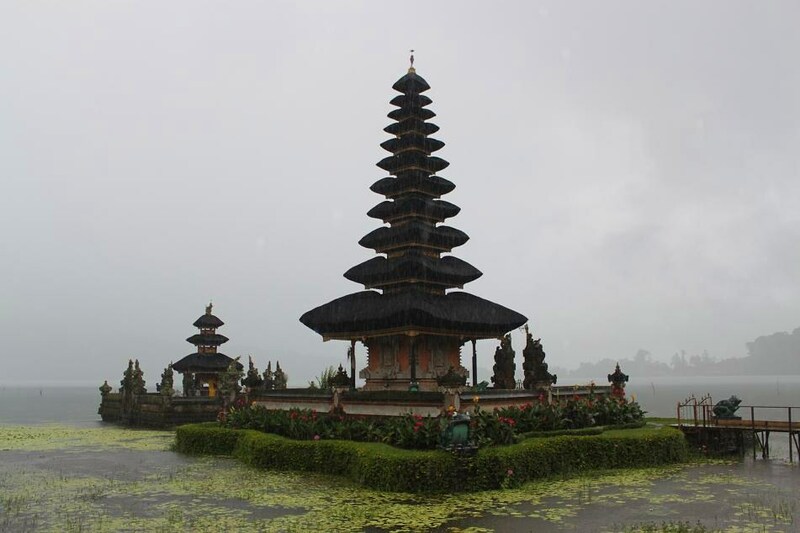 Bali, a small island only slightly bigger than Singapore, is a land of various terrains. From beaches to volcanic lakes, lush tropical forests to exalted mountains. Most visitors to the island usually flock the beaches and party scenes, notably in the southern part of the island. But more adventurous and peace-seeking visitors like to venture deeper into Bali’s interior where pristine forests are located. However, on my recent visit, I did not travel that deep into the forest. 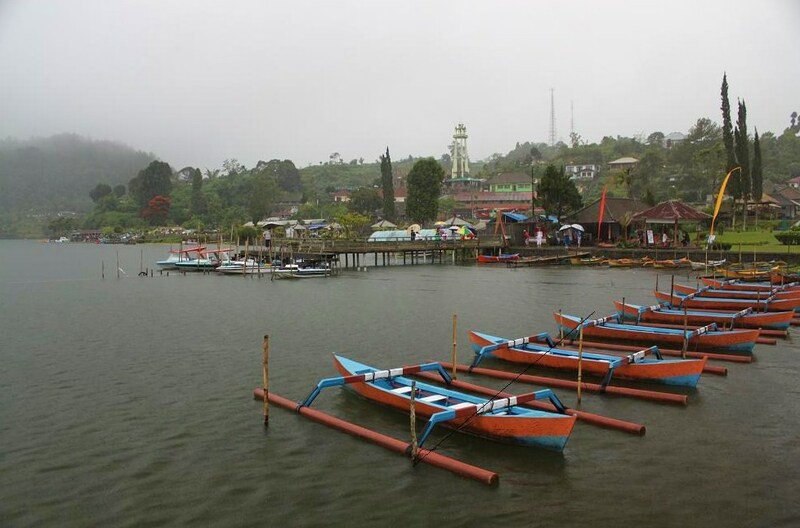 But I did go to Bedugul region in the northern part of the island, where Lake Bratan which was created from an ancient volcanic eruption is located and a Hindu temple, called Pura Ulun Danu, dedicated to the lake’s goddess sits near the bank of it. It would be nice to see the temple surrounded by the water with green hills as the background on sunny days. But again, I went there during rainy season and everything was almost entirely covered in mist which made the landscape rather gloomy. Other than Bedugul, I also went to Kintamani in the northeastern part of the island, the place of Lake Batur, another beautiful lake created from the eruption of another ancient volcano (this is Indonesia, where volcanic eruptions have been part of people’s life since ancient time). 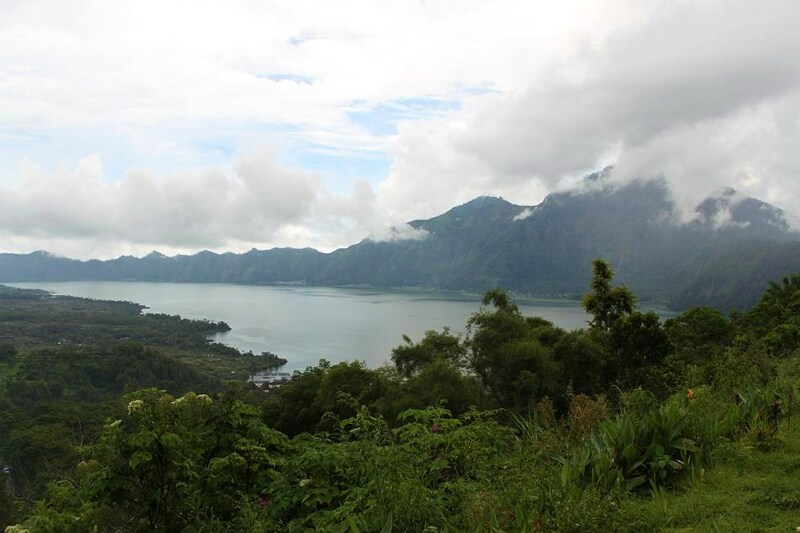 At that day, from the viewpoint on the Kintamani region the lake was clearly visible. Deep down below, I could see a small village across the lake, right on the slope of a rugged terrain of Lake Batur’s perimeter. Later that day I figured out that it is Trunyan, a village famous for its unique tradition of treating dead bodies of its people. 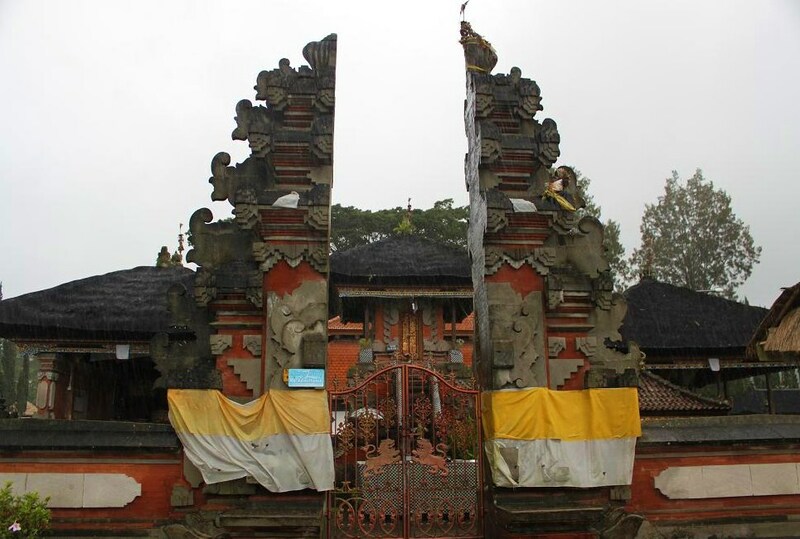 Unlike many other Balinese who wish to have their bodies cremated when they die, the people at Trunyan choose to just lay down the dead bodies instead (not even buried). If Bedugul and Kintamani were books, I can say that I barely read the whole pages and only flipped the cover and read the preface. One day I wish I have another chance to read the whole pages to comprehend the true beauty of them. Great photos! I love the one of the Pura Ulun Danu. Thanks! I wish it were not raining, though.